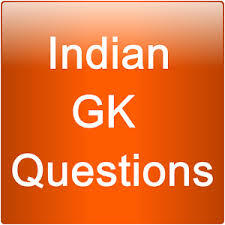 General Knowledge questions on Indian GK for Bank PO, IBPS, Bank Clerical And Indian GK For RRB Assistant Loco Pilot Group D 22-04-2018 questions for bank exams, very important computer-related questions for Bank PO, SBI PO, IBPS,RAS, IAS, UPSC, RPSC, 1st, 2nd, 3rd Grade Teacher, REET CTET, LDC, SSC CGL, IBPS, MBA, CAT, MAT, SBI-PO, RBI And Railway, Indian Army And all competitive Exams, and Most expected Computer Question Papers with answers. These Questions are most commonly asked in Other Banking Exam And All subject Wise Notes and Math, Hindi, English, History, Political Science, Psychology, Sanskrit Related Study material. Question. (1) Which cult of Buddhist religion was prevalent in northern India? भारत के उत्तरी देशों में बौद्ध धर्म के किस संप्रदाय की प्रचलन था ? Question. (2) what scripture is the mention of the principles of Buddhism? बौद्ध धर्म के सिद्धांतों का उल्लेख किस ग्रंथ में है? Question. (3) Who called Krishna the Heracles? किसने कृष्ण को हेराक्लीज कहा था? Question. (4) Who was the founder of Islam religion? इस्लमा धर्म के संस्थापक कौन थे? Question. (5) When and where was Muhammad Sahib born? मुहम्मद साहब का जन्म कब और कहाँ हुआ? Question. (6) Which festival is celebrated on the birthday of Muhammad Sahib? मुहम्मद साहब के जन्मदिन पर कौन-सा पर्व मनाया जाता है? Question. (7) What is the main scripture of Parsi religion? पारसी धर्म का प्रमुख ग्रंथ कौन-सा है? Question. (8) Who was the first female maid of Mahavira? महावीर की पहली महिला भिक्षुणी कौन थीं? Question. (9) Which texts are the basis of Hindu religion? हिंदू धर्म का आधार कौन-से ग्रंथ हैं? Question. (10) What are the sacred books of Hindu religion? हिंदू धर्म की पवित्र पुस्तकें कौन-सी हैं?